Complex Says: If the roads where you drive are unsafe for cycling, why not just take off and fly? 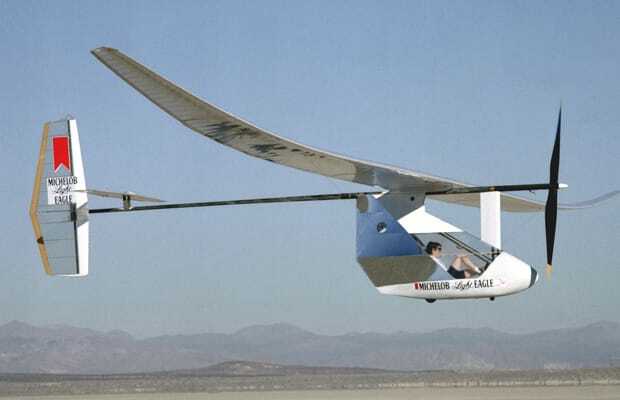 Pedal-powered flight has been around since the '50s. The current record held by the MIT Daedalus 88 is 74 miles! Imagine if an afternoon on a mountain bike took you over the mountain! Although this seems like science fiction, you really can fly around on a bicycle (even without ET in your basket).